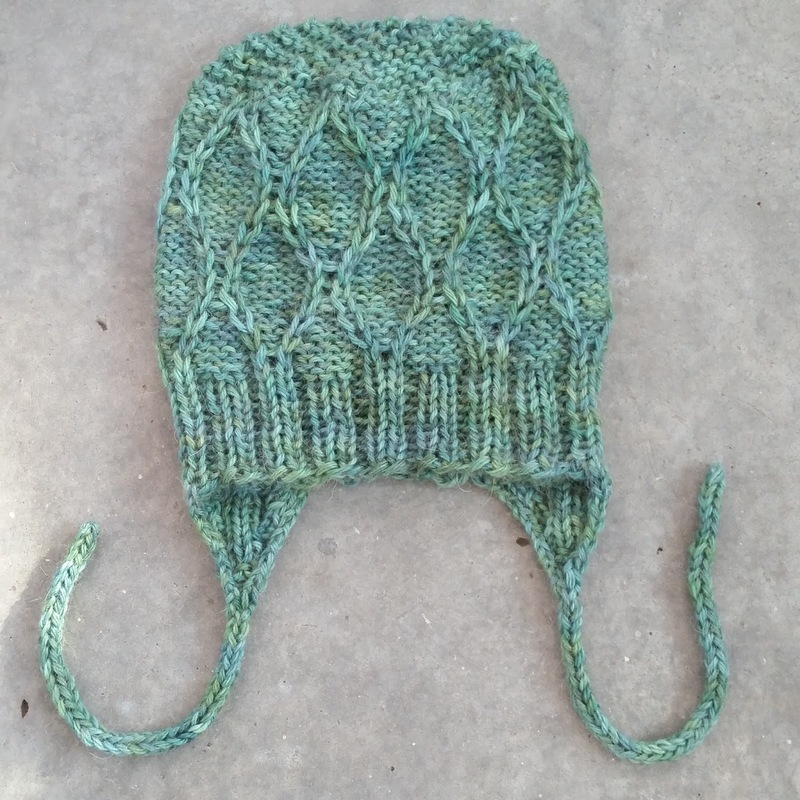 CC Knits: Fingerless Mitts and Revamped Hourglass Hat Coming Soon! Fingerless Mitts and Revamped Hourglass Hat Coming Soon! 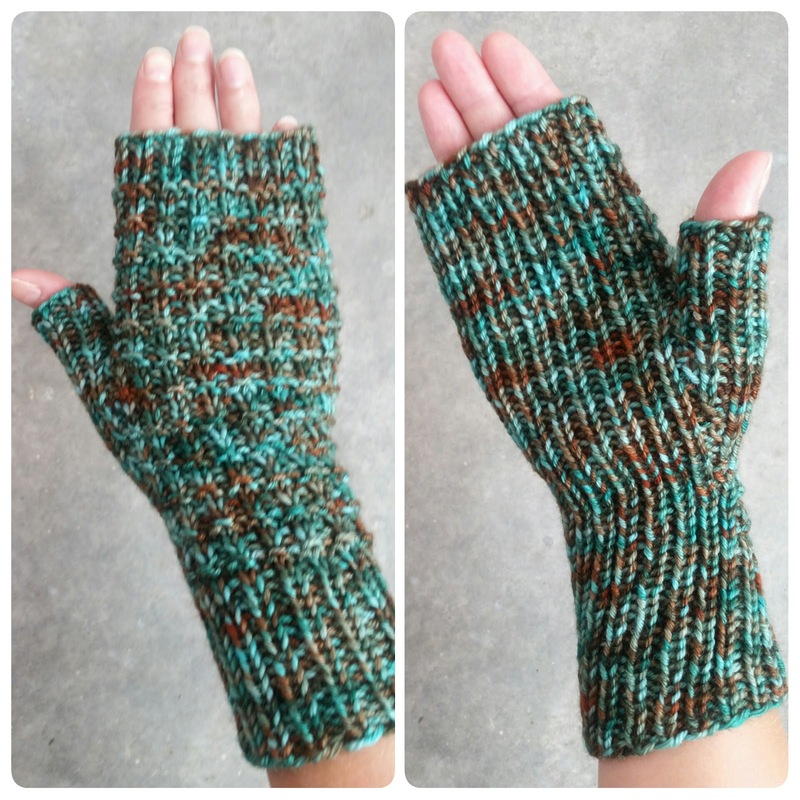 A brand new pattern for fingerless mittens is currently being tested and will likely be released within the next week. It has a subtle, but nice ridge rib stitch pattern that would work well in a solid or not too busy semisolid yarn (my yarn choice unfortunately does not show off the structured pattern very well). I've named these mitts Down to Earth Mitts, partly inspired by the yarn I used for my prototype which is called Earthsea and partly because they look rather down to earth to me. The pattern is straight forward, and these knits up quickly. The construction is seamless, bottom up with thumb gusset and the whole mitten is in rib pattern making them very stretchy and adaptable. 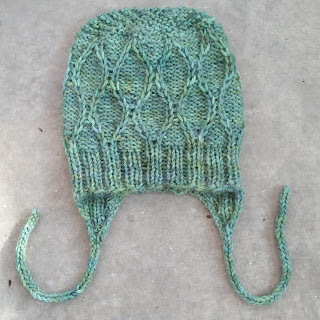 I've made 3 sizes, women's S, M and L.
Secondly, I'm working on an improved version of my Hourglass Winter Hat. This one is also going through testing at the moment and should be ready for re-release in 2 weeks time. I've added two smaller sizes and the smallest one (Toddler) includes instructions for making ear flaps and ties. Super happy with my prototype for this one, almost wish I lived somewhere cold and had a child small enough to wear it. That's all for now, HAPPY KNITTING!